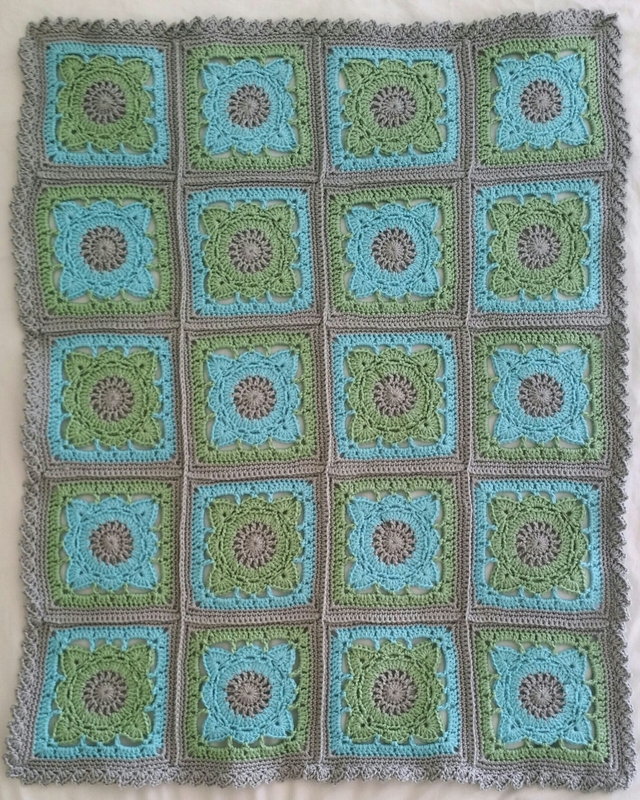 My last Willow blanket was for a baby girl and, loving the design, I wanted to see if I could put a little bit of a masculine twist on it and create a baby boy blanket. The border is by the fabulous Edie Eckman. It’s #25 in Around the Corner Crochet Borders, a firm favourite in my crochet library. I have developed a bit of a thing for squares and am now getting stuck back into another afghan with about 40 blocks in total, all different. I’ll share more next time. It’s very satisfying completing a small, intricate piece of work and I think it will make an excellent Spring/Summer project with a view to joining and bordering come Autumn. Do you like big projects made of little pieces? That’s gorgeous. What a versatile square. I am not into big projects made of small pieces right now, but I’m sure I will be at some future date! This is quite delightful. There is a real sense of pride in finishing a project like this I think. Well done you. 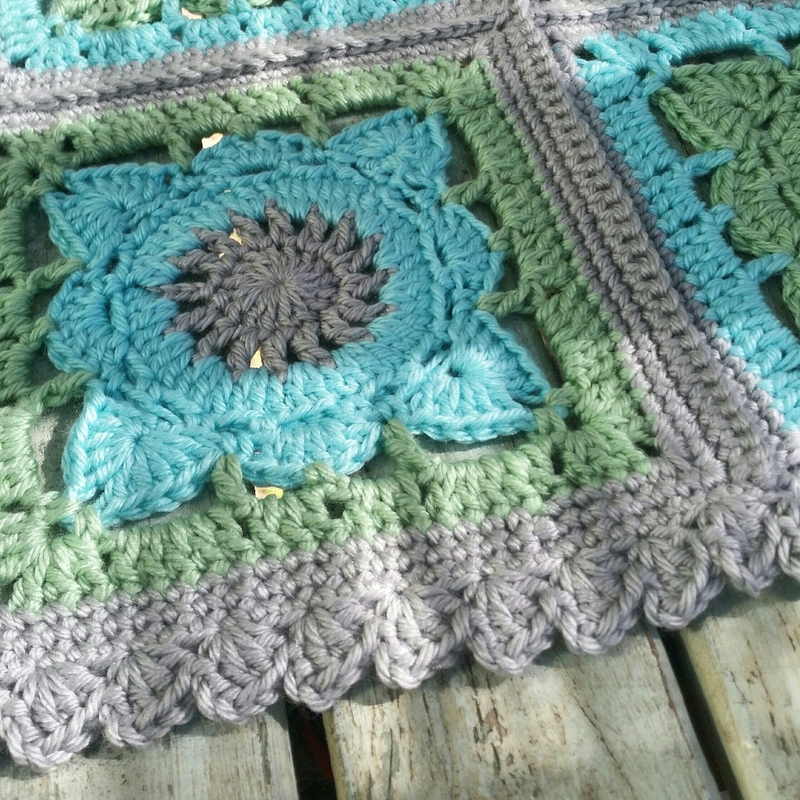 I hate projects made in pieces – sewing together is one of my least favourite parts of crochet! But only because I’m not very good at it and that’s when things tend to go wrong, so I probably actually need to do it more rather than avoiding it! I love projects with tiny pieces! Your blanket is fantastic, and the colors are brilliant! Beautiful work 😊.